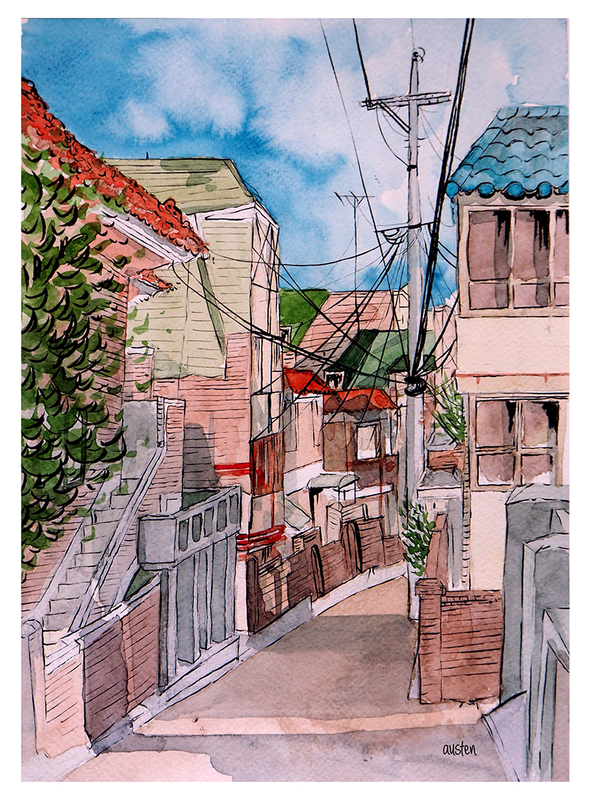 There is a small art studio/workshop place in Itaewon, Seoul and when I saw that they were offering a lesson on urban sketching I jumped at the chance to learn some techniques and force myself to actually try... since I was paying for it, I was not going to loll about and not draw! A perfect way to get myself out on the street with a pencil. Do you want to hear about my first Korean meal?